Product prices and availability are accurate as of 2019-04-21 11:41:26 BST and are subject to change. Any price and availability information displayed on http://www.amazon.co.uk/ at the time of purchase will apply to the purchase of this product. 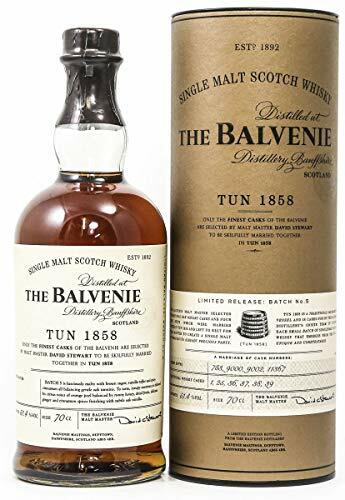 A marriage of 9 American Oak casks and 3 European Oak Sherry casks created the third limited edition Balvenie Tun 1858, for the Taiwanese market. 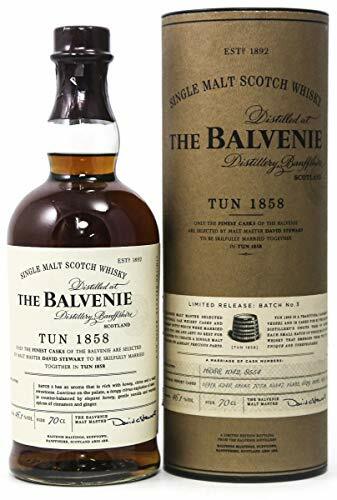 Batch 3 of a limited release, this has rarely been seen in auction or the re-market.